The road to success often means huge workloads for both agencies and clients. Ryte’s reports can greatly simplify daily life in your agency, making tasks quicker, easier and more efficient. Agencies and clients are always happy when the set marketing goals are achieved. However, the road to success is often associated with enormous workloads – customer meetings, evaluations, coordination of project groups, and website optimizations take up time. Having the right tool can save you a lot of time, effort, and expenditure. This article will show you how Ryte can help make the SEO tasks in your agency easier, quicker, and more efficient. Ryte’s Dashboard gives you an overview of all important KPIs of a website, showing you critical errors and optimization potentials at a glance. You can see straightaway whether the website contains any serious errors, giving you the possibility to fix them before any negative consequences arise. By clicking on the respective results on the dashboard, you will be directed to a report showing you the aspects in more detail. The Dashboard is particularly useful for reporting to client’s on a regular basis, as you can see improvements since the last analysis. Site Health – the metrics in the top right hand corner show you the most important aspects of your website, for example homepage indexability, server accessibility and whether your website contains a sitemap. You will also see here whether your website contains a robots.txt file, and whether it has been changed. If an error is shown here, this is something that you should look at immediately. The OnPage score – this is formulated using many different metrics, and gives you a general overview of how good your website is. A low score tells you that there is plenty of room for improvement. The other metrics and reports will then give you more detail about what you need to improve and optimize. Critical errors – critical errors include client errors, server errors, broken images, and elements containing flash. Clicking on this box will take you straight to the critical errors report, giving you a direct overview of the problems. You can then also see which of your webpages link to the page with the error, helping you to prioritize which error should be corrected first. Indexed Pages, impressions and clicks – Ryte uses real Google data to provide you with this information. It is particularly useful as you can see the difference between now and your last analysis – green means that it has improved, and red shows that it’s got worse. Speed is often a crucial factor in the everyday activities of SEO agencies. A client might for example be in urgent need of an interim analysis for a specific URL. The Single Page Analysis report in Ryte’s Website Success can offer you valuable assistance in such a situation. Mobile – is the webpage optimized for mobile usage? The Single Page Analysis is also helpful if you are planning to launch a new landing page. This report gives you an overview of the webpage’s status, and you can therefore use it to check for errors either shortly before or after the webpage goes live. This report provides agencies with the tools to quickly provide their clients with optimization potentials. Tip: You can also use the Single Page Analysis to analyze competitor websites, and therefore compare your website with that of your competitors. if Google Analytics is integrated. A website has to be accessible for it to be successful. The accessibility is important for both search engines and users. As an agency, your goal should not just be to optimize the website. You should also ensure that the website is optimally positioned for search engines. This also means ensuring that the website is always accessible. Continuous review of its accessibility often consumes a lot of time, especially if you have a large number of clients. OnPage.org Monitoring reliably takes over this entire task for you. You can use the tool to constantly track the performance of servers. The corresponding daily statistics are then displayed below the graph, showing you the accessibility of the website in the current month. At the same time, you also have the opportunity to check the robots.txt file. The file is usually pinged by OnPage.org Monitoring every hour in order to check its accessibility (status 200) and if its content has changed compared to the previous query. Here, the file’s load time is taken into account and any variations, such as time-outs, noted. Furthermore, all found versions of the robots.txt file are also listed showing their average load time and download errors. In user settings, you can specify if you want to be notified of server failures and changes in the robots.txt file by email. This way, you are always up-to-date and can react promptly in the case of any server problems. All forms of notifications are activated by default. If you have enabled the notifications and changes in the robots.txt file are detected, the report lists the exact number of changes. In the case of more than 5 changes, you are sent an extra email requesting that you check the robots.txt file and confirm if these changes were intentional. know when and how long the different versions of the file were online. Plain “SEO texts” were used to be acceptable for search engines, but now, the requirements for website content have changed dramatically over the past few years. Particularly sine the introduction of Google’s Panda Update, the quality of content has increased greatly increased. You not only have to pay attention to your keywords, but you should also cover a semantic field of terms, giving the text an added value. The TF*IDF tool can be very useful when it comes to creating successful website content. With Ryte’s text report, you can enter your main keyword, and Ryte will show you the important terms that should be integrated in the text to make the content unique and relevant. You can also use this analysis to get inspiration for alternative topics that are related to your main topic..
Once you have started the analysis, Ryte shows you the most relevant search terms based on the term weighting of the top ranking websites for the selected search term. The TF*IDF tool also offers you direct assistance when creating your text. You can copy your text into the text assistant, and it will reviewed with the TF*IDF formula and recommend what terms you should include more of. Figure 6: Ryte’s Content Optimizer. yte’s Website Success module can also help optimize your existing content. When you click on “Content” in the menu, you will see the key content areas that you can optimize. The tool is ideal for agencies, particularly when new content is created and the content structure revised. With just a single click, you can get an overview of all pages that contain possible duplicate content. Although duplicate content does not necessarily lead to negative ratings in search engines, such webpages compete against each other in the rankings – the search engine has to choose one URL. Titles: These meta elements are essential for achieving good rankings, and should therefore be monitored regularly. Ryte analyzes the optimum length of the titles, and checks for the presence of duplicates. Meta descriptions: You can significantly raise the CTR in the SERPs using optimized meta descriptions. The tool checks both the length and uniqueness of these meta elements. Headlines: The chronological sequence of the H-tags is important for the Google bot to properly crawl a website. Every website should only have one H1 tag. Ryte performs comprehensive analysis of the structure of the H-tags on a webpage, therefore making it easier for writers and SEOs in your agency to derive appropriate optimization measures. check which keywords are currently overused. Every client project has its own unique characteristics and requirements. The analytical aspects are always different. Ryte gives you the opportunity to create and save custom reports for every project. The filter function enables you to easily pick out the fitting reports for the respective project. You can therefore create reports for individual page categories. To create a filter, simply click on “New Filter” in the overview – this offers you many filter options. 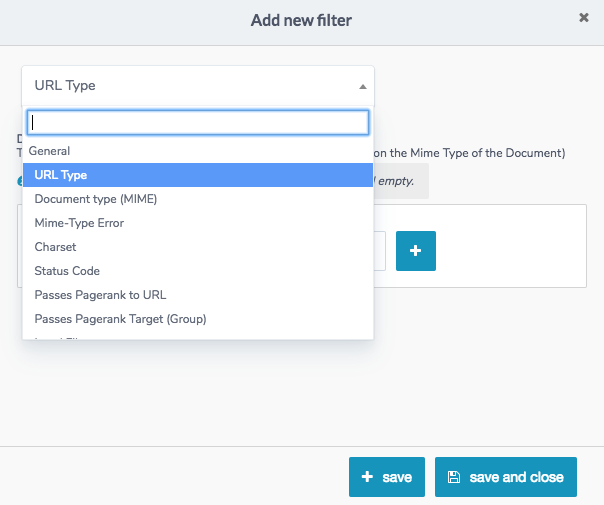 Figure 8: Create a custom filter on Ryte. Similarly, you can view all faulty pages on a domain and also check if they have inbound links. In addition, the status code of the different errors on these pages should also be identified. All this is possible with just one report. You can also easily add desired fields from other reports. This makes it possible for agencies to illustrate different analytical aspects in a single report, without having to create individual reports for all the necessary aspects. achieve even better evaluations for your client’s project. Sustainable search engine optimization is a combination of many different factors. Particularly in agencies, there is always a risk that there isn’t enough time to consider cetain aspects due to lack of time or resources. Ryte makes it possible for agencies to easily and intuitively optimize their SEO processes, for example with regular server monitoring, and regularly checking the dashboard to find critical errors immediately. Using these reports will not only save you time and money; your optimization activities will become more transparent and easier to comprehend for the client. Published on 06/01/2016 by Olivia Willson.